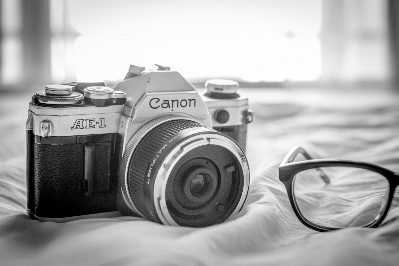 This knapp intends to pay a tribute to pictures for their ability to convey a meaning with a profoundness equivalent to a thousand words. Be it the horror and desperation of drowning migrants, the resilience and vulnerability of citizens in war, the bravery of ordinary lifesavers, or the impact of an event, pictures are unique in their way of communication. Knappily brings to you the defining pictures of 2016. 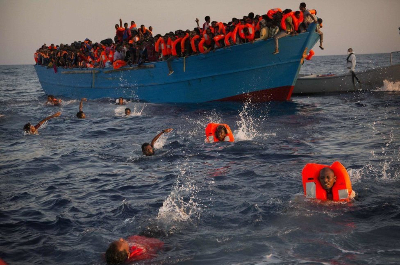 What makes the Mediterranean engulf so many lives? Official estimates released by the UN placed the death toll of refugees and migrants from drowning at 5,000 as of December. This record death count means an average of 14 people drown daily despite a decline in the overall number of people who choose this route. A majority of the dead had tried to travel via the risky crossing from North Africa to Italy after they were cut off from using the shorter Turkey to Greece crossing. Spokesman William Spindler attributed the deaths to smugglers’ practice of repeatedly sending an indiscriminate number of people on board making rescue operations harder. Other reasons given included bad weather, riskier boats and tactics to avoid being caught. Around 500 children and grown-ups are believed dead when a boat ferrying hundreds of African migrants overturned close to the coast of Egypt on April 9. No official body – the UN, the European Union's frontier agency, the EU police agency, any maritime agency, the North Atlantic Treaty Organization, or the EU naval task force in the Mediterranean – has investigated the deaths. The Egyptian government never confirmed the sinking or that the refugees had set off from its shores. The investigation shows how lax in international law enforcement encourages smugglers to take advantage of the plight of those fleeing conflict and death. Once the reports gathered over months by Reuters and BBC Newsnight agencies were made available, Rob Wainwright, director of the European police agency, Europol, said his agency should have probed the sinking. He admitted in an interview to Reuters: “Reuters inquiries might have exposed a ‘gap here in the collective response by Europe’ to such cases”. Europol now plans to investigate the incident. Why is this a picture-perfect moment? It is said to have been taken at one of Trump’s rallies, at a time when nearly everyone was shocked at how Trump had come this far in the contest for Presidency. One half of the people reportedly balked at the notion he would become President and were explicit in their opposition. 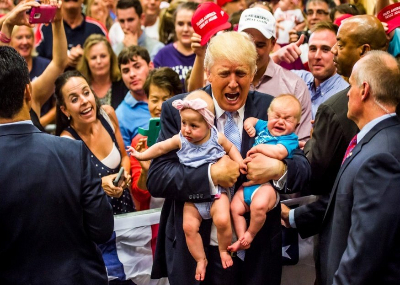 But at least some people took a more accepting view and perhaps felt a Trump presidency was inevitable.The reactions of the babies – one is extremely uncomfortable to say the least, and the other looks a bit puzzled, possibly trying to figure out what is happening – reflect largely the reactions of Americans to the possibility of a Trump era. As for Trump, one never knows when his spontaneity is rehearsed or the other way round. He does full justice to the unpredictability that has characterized his campaign and statements. When did we create climate change refugees? Natural disasters led to the displacement of about 26.4 humans every year since 2008. The International Displacement Monitoring Centre’s million Global Estimate for 2015 places this at one person per second. 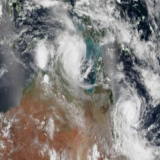 The rampant destruction caused by Cyclone Winston in Fiji significantly impacted about 350,000 people this year. 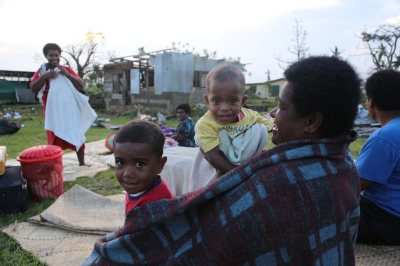 Last year’s cyclone Pam left more than 70 percent of Vanuatu’s population homeless and displaced thousands from Vanuatu and Tuvalu. These and other places in different parts of the world have suffered the effects of climate change.Failure to protect the displaced arises from loopholes in international law even as national responses cannot be always relied upon. Platform on Disaster Displacement, a collaboration of 14 governments led by Germany and Bangladesh was instituted on July 1 2016 to deal with the climate change crisis that confronts this century. Based on research, the platform looks at short and long term strategies to cope with the natural disasters. It aims to bring about an efficient emergency response mechanism but also to harness disaster warning systems to enable people to vacate the place earlier. It also envisages policy options that governments can implement to prevent future displacement. Where does Delhi's waste go? The answer is yet another reflection of the gigantic gap between policy and implementation in India when it comes to progress. Delhi’s population has more than doubled since 1990 while their waste management infrastructure has not sufficiently scaled. Consequently the 10,000 thousand kilograms of waste – approximately the weight of Eiffel Tower – produced daily heaps up on open landfills. "On paper, these landfills are meant to be 'sanitary' landfills. But in reality, no precautions are taken. There's no scientific process or segregation process. Almost 90 percent of the budget of the [Delhi] municipalities is spent on transporting waste, rather than managing waste," Vimlendu Jha, environmental activist told Al Jazeera. 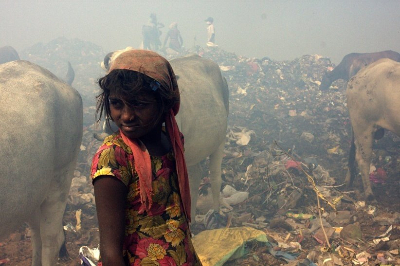 Another sin outlawed in India is child labour, but again only on paper. Among the 10.2 million children the UNICEF estimates to be working in our country are child scavengers some as young as five. They can be found working in Bhalswa – one of Delhi’s three landfill sites. The Supreme Court recently hit out at Delhi’s municipalities and warned that if not handled effectively, the city would head to disaster. Official predictions estimate that by 2021, the city’s waste production will almost double to 18,000 thousand kilograms a day. Who need to be honoured? Hasan, the White Helmet volunteer who risked his life yet again to save Abu Soubhi, the other man, died two months later in a shelling. The White Helmet volunteers are the first ones to rush to the scene of devastation brought by bombs and save as many lives as they can. They do this completely aware that they may be killed any moment, overcoming their fear for the double tap attacks – drop a bomb in one location, wait for the rescuers and then drop the next one. These rescue volunteers were anything but associated with the tasks they take up now, James Le Mesurier, founder of the White Helmets program told Al Jazeera. Former bakers, teachers, students, builders, taxi drivers and nearly anything but rescue workers now form the trained group of 2,790 odd volunteer men and women. Each of these volunteers should be saluted for the work they do as must the brave journalists who risk their lives to report the truth. Their courage should propel those in authority to stop the war. But as a white helmet volunteer points out – “When did they remember Khaled They waited for him to become a martyr so that they can sympathise with him”. Like Abu Soubhi, there are people who continue to live in conflict-ridden regions where waking up and getting through the day alive are the sole goals. Choice or Compulsions drive them to do so. 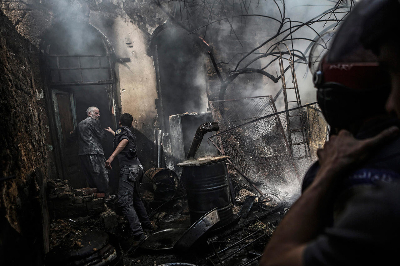 In this picture it seems as though Soubhi is making a statement in his own way – This house was a product of his labor and love, no one has the right to destroy it; he will refuse to run or hide because he has done nothing wrong. And he will give every bit of the best he has to save the house and associated memories. At the same time, his stubborn resilience is accompanied by a plea to end the war. The people are fed up. How has it been since Brexit? BBC assembled and answered a list of questions on various facets of Brexit’s impact. 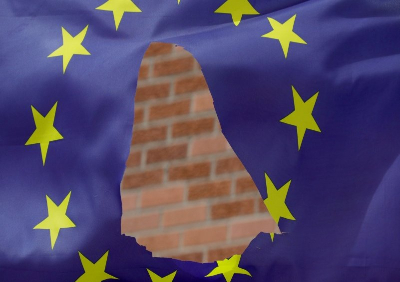 Theresa May took over as Prime Minister after David Cameron resigned on the day Britain by a majority voted to leave.Two issues that invoke a lot of debate are the way British businesses will continue in the EU and the restrictions EU nationals living in UK will face. After the initial shock, no unexpected slump seems to have hit the UK economy so far. The value of the pound has never been so low for almost three decades and some big firms have complained of increased costs due to this. While the government will have to face higher costs of borrowing, share prices have improved from a drastic decline; both FTSE 100 and the broader FTSE 250 index, among which are several British-based businesses indicate increased trading compared to the time before the referendum. Long term effects are still greatly unclear; the Bank of England has indicated it wants to cut interest rate to 0.25 percent – the first cut since 2009 and a record low – to hold off recession. Alternatively, if quantitative easing is employed, annuity rates which had begun to fall even before the vote would continue to fetch lesser income for those who have chosen the pension annuity option. The point of tradeoff is likely between getting the maximum benefit of trade for UK and shaping its immigration policy. Another point waiting to be cleared up is the fate of EU citizens living in UK and the other way round. The day-to-day spending of those from UK travelling abroad has been significantly impacted since the fall in value of the pound. Imported goods will be costlier and some prices such as for food, clothing and homeware goods have already risen. How the job market will change remains to be seen as London has been in the crucial position of financial centre. HSBC is reportedly expected to move 1000 jobs to Paris. Exporters have given off mixed reactions – some feel the weakening currency will translate to better business others take a pessimistic view and have made plans to cater to the European market from outside of UK. A survey of 100 business leaders by KPMG found that three-fourth of them would be considering moving their headquarters or operations outside of Britain. A Parliamentary Committee warned that UK’s science sector has been disadvantaged by the uncertainty over EU-UK relations.